A Michiana native and a veteran of the United States Army, John Enrique Thompson has been working in Graphic Design for over thirty years. He has been teaching Graphic Design, Computer Art, Interactive Design, Animation, 3D Modeling, and Drafting since 2009 and has been a faculty member of Indiana University South Bend since 2012. He holds an M.F.A. in Interactive Design & Game Development from the Savannah College of Art & Design, a B.F.A. in Fine Arts from Indiana University South Bend, an Associate of Science in Commercial Art & Design from Vincennes University, and numerous certificates in Design, Animation, and Game Development. He looks at Design from an interdisciplinary perspective and has interests in multiple fields. 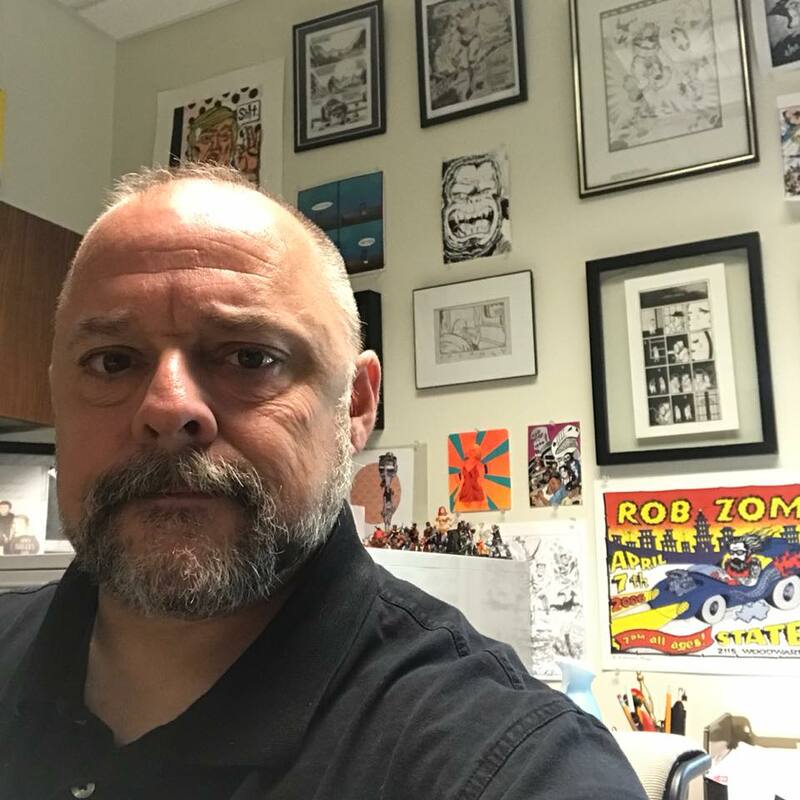 He has lectured on comic book and comic strip history, art, and design and given workshops in drawing comics, making comic books, ‘zines, and small press publishing. He has also had comics published in National Lampoon, the Seattle Scroll, BC Magazine, and many other publications and his paintings, illustrations, and prints have been shown in regional, national, and international exhibitions. In addition to teaching, he continues working freelance on comics and sequential narratives.